Hello, Alexandria! I, Parker A. Poodle, am reporting from the backseat of my mistress’ car. We have just crossed the 14th Street Bridge en route to The White House. Massachusetts-er John Adams—slaveless property owner, husband of Abigail, father of three and dog owner of two—was the first President to inhabit The White House. His stay was short, four months. The election of 1800, Adams v. Jefferson, was bitterly fought. “If it should be the Design of Providence that you should live to grow up, you will naturally feel a Curiosity to learn the History of Causes which have produced the late Revolution of our Government,” John Adams wrote son John Quincy in 1777. “It will become you to make yourself Master of all the considerable Characters….” Reading Education Assistance Dogs are characters, of a type. We went home by way of the Alexandria library. Children are educated. Dogs are trained. I entered the library quietly. “As [George] Washington was the father of our country and [Thomas] Jefferson the author of its ideals, John Adams was the champion of government,” Cheryl Harness wrote in The Revolutionary John Adams. 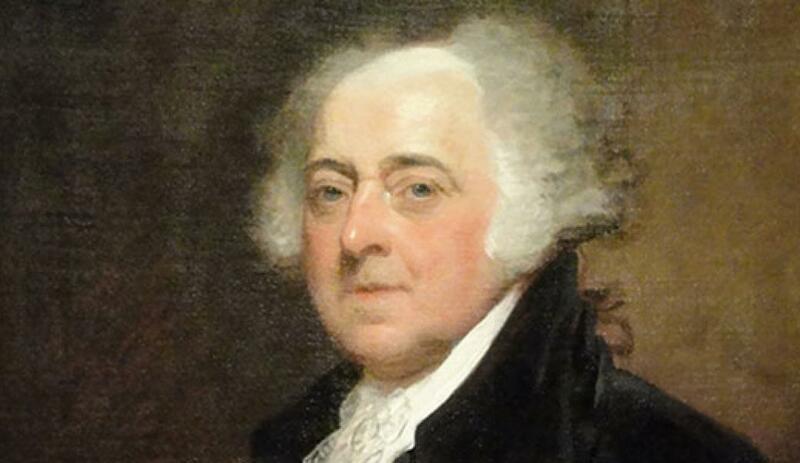 “When the Congress was a brave group of men leading colonists through revolution to nationhood, John Adams was its leader.” Adams first job was as a teacher. “Honesty, Sincerity and openness, I esteem essential marks of a good mind,” schoolmaster Adams said in 1756. Two years later lawyer Adams was admitted to the Suffolk County bar. “The Faculty of Writing is attainable,” Adams continued, “by Art, Practice, and Habit.” I am a 14 year-old dog who repeatedly writes, who appreciates the Sounds of children reading aloud. “On April 19, 1775, British and American soldiers clashed in a bloody battle in Massachusetts,” Jim Murphy wrote in The Crossing. “Part of it happened in the village of Lexington, while the other part took place fifteen miles away in Concord. These first shots that started the American Revolution were the result of many years of anger, frustration, and growing hostility over how Great Britain governed and taxed its American colonies.” The British Parliament declared the colony of Massachusetts to be in a state of rebellion on February 9, 1775. It was Massachusetts deputy John Adams who suggested the Continental Congress appoint George Washington General and Commander-in-Chief of the Army. As a Connecticut deputy said, “Washington was no harum-scarum, ranting, swearing fellow….” He assumed command on July 3, 1775, in Cambridge, Massachusetts. “…You may believe me…when I assure you…that, so far from seeking this appointment I have used every endeavor to avoid it, not only from my unwillingness to part with you and Family, but from a consciousness of its being a trust too great for my Capacity,” General Washington wrote wife Martha. 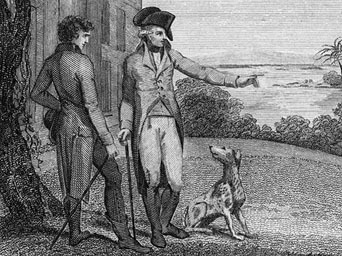 “But, as it has been a kind of destiny, that has thrown me upon this service, I shall hope that my undertaking of it, is designed to answer some good purpose…I shall rely therefore, confidently, on that Providence which has heretofore preservd, & been bountiful to me.” His bounty included ten hunting dogs. “…I have every thought, and am still of Opinion that no terms of accommodation will be offered by the British Ministry, but such as cannot be accepted by America,” General Washington wrote deputy Adams on April 14, 1776. “We have nothing my Dear Sir, to depend upon but…unanimity among ourselves.” On July 2, twelve of the thirteen Congressional delegations voted to support Virginia deputy Richard Henry Lee’s call for independence. Independence was declared on July 4, 1776. “We, therefore, the Representatives of the United States of America, in General Congress assembled, appealing to the Supreme Judge of the world for rectitude of our intentions, do, in the name, and by the authority of the good people of these Colonies, solemnly publish and declare, That these United Colonies are, and of the right ought to be, Free and Independent States….” Signers included John Adams and Benjamin Franklin; Thomas Jefferson and Richard Henry Lee; Edward Rutledge, Charles Carroll and John Hancock. With independence came victory. 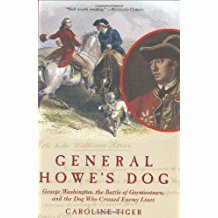 Read the story of British General Howe’s Dog; the Dog’s unintended escape during the 1777 Battle of Germantown; his American capture and October 6 return, with Washington’s compliments. The peace treaty—as negotiated by John Adams and others —was ratified in 1783. “You will be glad to know that Juno yet lives, although like her mistress she is gray with age,” former First Lady Abigail Adams wrote in 1811. “She appears to enjoy life and to be grateful for the attention paid to her. She…announces a visitor whenever one appears.” Juno was a guardian of history. “I look back with rapture to those golden days when Virginia and Massachusetts lived and acted like a band of brothers,” like a pack John Adams wrote Thomas Jefferson in 1825. Their friendship renewed, both lived to celebrate John Adams son, President John Quincy Adams March 4, 1825, inauguration. “There are several good Histories of this great Revolution,” John Adams told John Quincy. “Sir William Temples is short but elegant and entertaining…The most full and compleat History, that I have seen, is one that I am now engaged in Reading. It is intitled ‘The History of the Wars of Flanders,’ written in Italian.…” Ask your favorite librarian for a history pick and read with me today. Did you know the Mayflower arrived in Massachusetts in 1620 with two dogs aboard, a spaniel and a giant mastiff? Parker A. Poodle™ is the significant companion of columnist Sarah Becker. Sarah started writing for The Economist while a graduate student in England. Similar publications followed. She joined the Crier in 1996 while serving on the Alexandria Convention and Visitors Association Board. Her interest in antiquities began as a World Bank hire, with Indonesia’s need to generate hard currency. Balinese history, i.e. tourism provided the means. The New York Times describes Becker’s book, Off Your Duffs & Up the Assets, as “a blueprint for thousands of nonprofit managers.” A former museum director, SLAM’s saving grace Sarah received Alexandria’s Salute to Women Award in 2007. Really informative article. If you are looking to adopt a new furry family member, log on to https://goldwynns.com and apply for an English cream golden retriever puppy now.